La Mesa resident Aaron Dean has a vision for the future of his neighborhood. 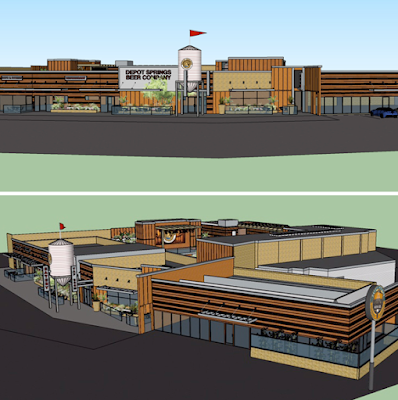 In addition to a massive 25,000-square-foot brewery, restaurant, distillery and entertainment venue called Depot Springs Beer Company, Dean has four projects in development in the village of La Mesa - recently opened Sheldon's Service Station, BLVD Yogurt, an apartment building with a Surf Rider Pizza Cafe & Bakery in partnership with The Patio Group, and BLVD Noodles, an Asian fusion restaurant and craft beer garden set to grand open on Friday, January 27. Aaron Dean's family has lived in La Mesa since the 1970s, and he believes that "The Village" is poised for greatness. He recently opened Sheldon Service Station, a breakfast and lunch eatery that serves coffee, donuts, beer and wine 7 days a week, as well as hosts frequent events and live entertainment from its expansive dog-friendly patio. Dean is also in the process of opening a self-serve craft yogurt shop at 8348 La Mesa Boulevard and has teamed up with The Patio Group's Gina Champion-Cain to construct a new building at 8381 La Mesa Boulevard with 8 luxury condos and a Surf Rider Pizza Cafe location on the ground floor with an onsite bakery component, La Mesa Villages's first ground-up development project in more than 20 years. On January 27, Aaron will open BLVD Noodles, a Pan Asian-style restaurant that will be centered around a menu of noodle dishes, including pho and ramen soup. The space at 8325 La Mesa Boulevard has been decked out to offer guests a hip & casual ambiance with art installations, an open kitchen, an outdoor patio. In addition to a few draft beers available in pints and pitchers, including a pair of local craft option, BLVD Noodles will be the first and only place in San Diego to find nitro sake on tap. 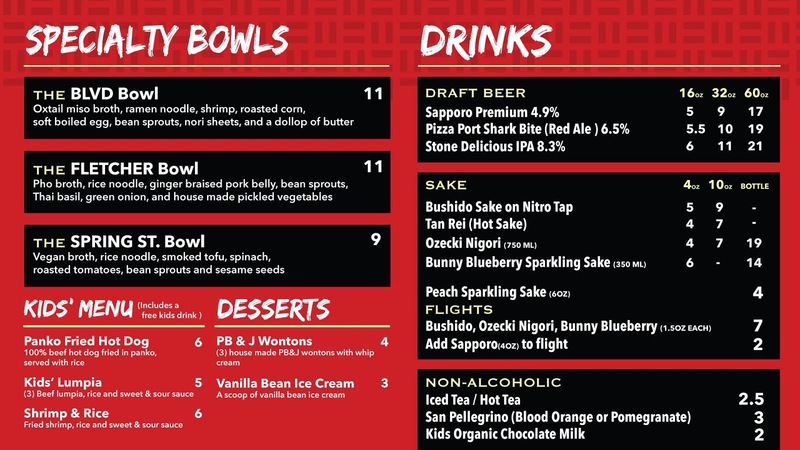 There will also be an array of flavored sakes offered in flights, a variety of non-alcoholic beverages, and a selection of wines by the glass. Aaron Dean's big project is Depot Springs Beer Company, which, like any gigantic endeavor, ran into timing issues. Dean hopes to start construction by the middle of February with a hopeful completion date of late April. Alongside brewer Stuart Long, they are building a full service, chef-driven restaurant called Restaurant 1888 (with Executive Chef Matt Richman in the kitchen), a 15 barrel brewery, a distillery, a game room called Playcation, and an event space with a stage known as The Platform, where they intend to showcase local bands, national acts, live comedy, fashion shows, movies and more. 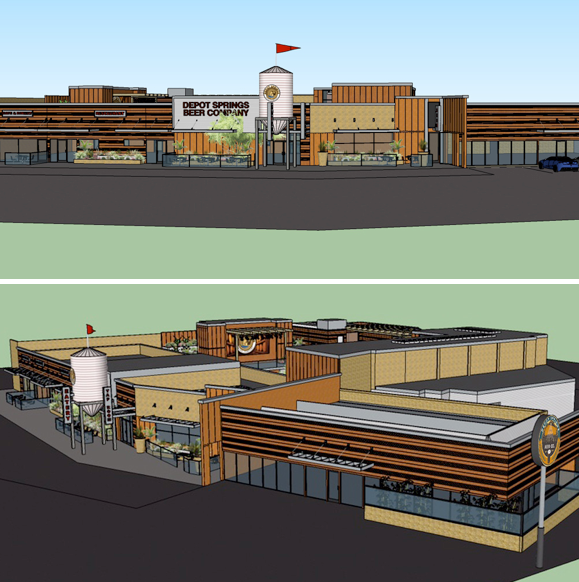 Dean also recently added a new component to the project - Depot Springs Soda Company - which will produce "hop-infused" craft sodas as well as offer ice cream and other confections. Dean's grandfather bought the Depot Springs site at 9176 Fletcher Parkway in 1959. 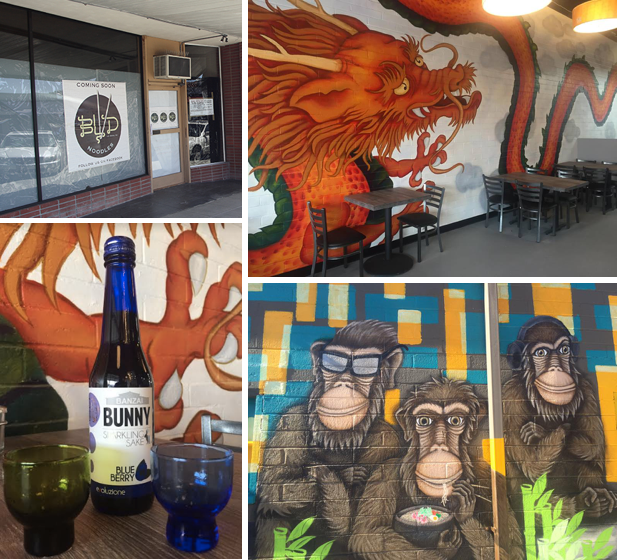 Check out the BLVD Noodles menu below and get excited about the future of La Mesa!